15 of West Virginia's Best Winter Activities! Whether you're looking for adventure and excitement, romance and relaxation, or just plain family fun, West Virginia has it for you this winter. One of the best things about West Virginia in the winter is the beautiful snow-capped mountains in this part of Appalachia. Known for some of the best ski resorts anywhere, West Virginia is home to several: Canaan Valley in Davis, Snowshoe Mountain in the eastern part of the state, and Winterplace in the south. But if skiing isn't your thing, there are still plenty of winter activities that will satisfy everyone. Below are 15 of the best winter activities in West Virginia. Located on 251 skiable acres in the heart of the wilderness, Snowshoe offers 57 trails, free shuttle service up and down the mountain, numerous dining options, a gift and equipment shop, and a 3,600 square-foot spa. Tubing, horseback riding, and snowmobile tours that offer four-course dinners are just some of the other winter activities available for guests. The annual Winter Brew Fest at Snowshoe Mountain Resort always draws a good crowd by offering samples of more than 50 beers and live music that will get your feet stomping and your hands clapping. Truly a winter wonderland, Canaan Valley offers exceptional skiing on 30 acres, snowboarding, and ice skating for all ages in a new covered outdoor skating rink. You can even enjoy a horse-drawn sleigh ride over the fields to Grandma's house! This year-round premier ski resort offers 90 acres and 27 slopes for skiing, including night skiing and snow tubing. Four restaurants are sure to please any hungry appetite and there are special programs for the little ones from six months up. Located in Pocahontas County, WV, the town of Cass was a lumber town that's been brought back to life in recent years with modernized company houses that can be rented by visitors. There's a free history museum where you can learn about the unique trains that were part of the lumber industry. Best of all, you can ride one of the original Shay locomotives up the mountain (in appropriate weather) and picnic at the top! You can even go to the maintenance shops and see the engines and railcars up close and personal. Looking for an out-of-this-world experience? Nestled in the National Quiet Zone, and one of the only observatories in the world that still actively searches for extraterrestrial life in space, the National Radio Astronomy Observatory should be part of your travel plans. A guided tour is available to take visitors around the area, and there are hands-on activities, a small restaurant, and a gift shop where you can purchase souvenirs to take home. If you're looking for a place that offers historic charm, world-class accommodations, natural mineral springs, designer boutiques, and a 103,000 square-foot casino, the Greenbrier Resort is the place for you. Since 1778, visitors including presidents, foreign dignitaries, politicians, celebrities, and world leaders have enjoyed what the Greenbrier has to offer. You will, too. Oglebay Resort is a wonderful place to get away for a relaxing weekend with the family or that special person. The Festival of Lights, known as one of the "10 Best Christmas Light Displays in the U.S.,” can be driven over a six-mile, 300-acre course that's definitely worth the trip! 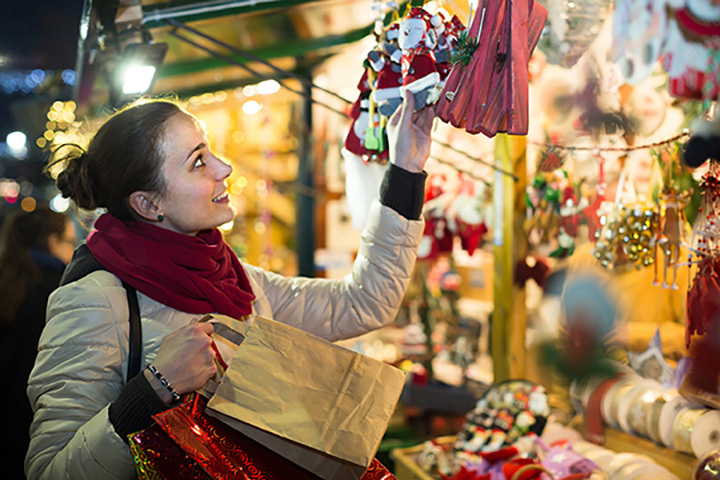 In addition to the light displays, there is the Festival of Trees, family hay rides, train rides, gingerbread house displays, and shopping galore. Tamarack is West Virginia's premier original and handmade artisan retail center and is open all year. There are weekly theater presentations, a fine arts gallery that offers some of the most unique and imaginative artwork for sale, and a food court that makes delectable specialties like fried green tomato sandwiches. Artisans are often working while you watch to promote and educate Appalachian arts and crafts. If you love music, West Virginia offers some of the best around! The Mountain Music Trail is an internationally recognized initiative to promote the music of Appalachia and covers a five-county region in the state that includes Monroe, Greenbrier, Pocahontas, Randolph, and Tucker counties. If you love or want to know more about true Americana music, you're sure to find it here. Truly a hidden gem, this free museum is open year-round and has one of the finest exhibits of American glassware anywhere. Did you know that more marbles were made in West Virginia than any other place on earth? This is one of the things you'll learn when you visit the Museum of American Glass. There's also a gift shop where you can purchase glassware to take home. One of the best visual presentations on the history of the state, the West Virginia Cultural Center is also home to Public Radio's "Mountain State," heard around the world. There are over a dozen ongoing and changing festivals and exhibits at this free admission museum, and one of the largest quilt displays in the state. Boasting to be the largest arch-span bridge in the Western Hemisphere, the view from the overlooks at New River Gorge Bridge will take your breath away. You can drive across the bridge or take the road to the bottom for sites that are picture worthy, and there is a guided tour available across a catwalk that takes you under the bridge and over the river…876 feet below! If you're looking for simple food to gourmet specialties, this open daily, year-round renovated train station will satisfy your hunger. Working with the West Virginia Department of Agriculture and reminiscent of an old-time farmers' market, the Capitol Market offers seasonal items like produce, flowers and plants, pumpkins, and Christmas trees. Make sure to stop by the Visitor's Center while you're there.